Today we are playing with a new bundle that will be available to customers August 1st to 31st or while supplies last, it's called Blended Seasons. 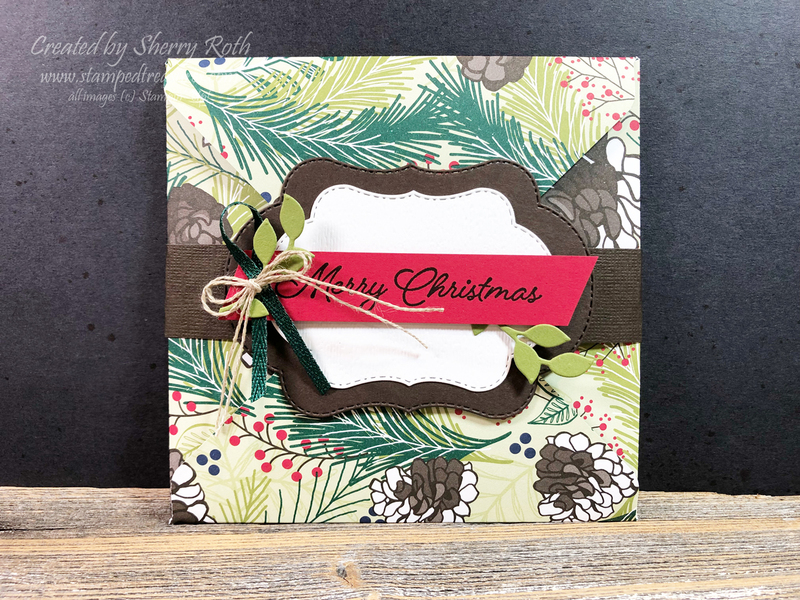 The stamp set is a combination of gorgeous flowers, leaves, holly and some wheat. In addition to the images there are some great greetings which I find always makes a stamp set even better. The belly band just slides off and then the flaps open to reveal the inside. I stuck this down to the inside of the envelope but you could easily have a lift up flap if you needed more space. 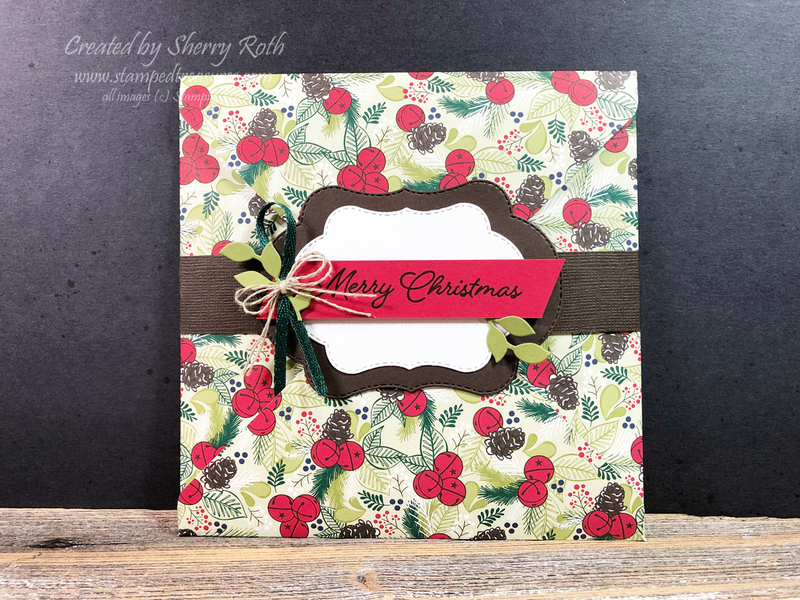 In this weeks video, which you can find here, I show you how to create this envelope card but in a smaller size. The inside measurement is 5" x 5". Check out those stitched label shapes - there are three different sizes included in the coordinating framelit set. Here's the video that shows you how to make it.